The following events appear in Natural Awakenings – Westchester, Putnam, Dutchess NY, February 2019 Edition. For additional event listings, updates and changes, visit our free online calendar on our main website at WakeUpNaturally.com. Crystal Bowl Sound Bath – Two Sessions: 6 & 7:30pm. Hudson Valley Healing Center in Poughkeepsie welcomes Daniel Lauter. $40, includes salt therapy. Info: HudsonValleyHealingCenter.com. Invasive Vine Removal – Free-a-Tree Program – Join Groundwork Hudson Valley in combating a variety of invasive vines along the Old Croton Aqueduct Trail, 13-11 Arthur St, Yonkers. Info: Victor Medina: 914.375.2151. GroundWorkHV.org. Zen Mind, Zen Space – 10am. Incorporate mindfulness meditation with creation of sacred art. Four-week series includes making smudging tools, black rock painting, dreamcatchers and candles. $40 per class. $140 series prepaid. Supplies included. Hands of Serenity Healing, 1129 Main St, Fishkill. Register: 845.896.1915. HandsOfSerenityHealing.com. Reiki Master Class – 11am-4pm. With Reiki Master Marcus Feighery. $675. Synchronicity, 1511 Rte 22, Brewster. Reserve seat: 845.363.1765. SynchronicityNY.com. Sound Healing – 6-8pm. With Dan Lauter. Over 30 years of an internationally recognized practice, a not to be missed event. $30. Universal Healing Arts. 4 Crestview Ave, Cortlandt Manor. Register in advance: 917.737.4325. UniversalHealingArts.com. Stronger Together Solidarity Fair – 9:30-12:30pm. To raise awareness, exchange information and foster coalition building, unity and solidarity against all forms of injustice. Free. 1000 Pinebrook Blvd. Temple Israel, New Rochelle. RSVP: 914.235.1800. LifeForce Yoga Chakra Balancing Flow & Yoga Nidra – 4:30-6pm. With Merrill Black. Gentle meditative flow using sounds, postures, hand gestures and restorative poses to balance chakras. Ending with yoga nidra. $20. The Temperance Center, 453 White Plains Rd, Ste 203, Eastchester. 914.793.2600. TheTemperanceCenter.com. Stony Kill Foundation Beekeepers Association – 7pm. Guest Speaker Travis Grout from Cornell’s Bee Lab will present: Turning Your Hobby into a Beekeeping Business. Stony Kill Farm, in the barn classroom, Rte 9D, Fishkill. $15 drop-in. Info: Facebook.com/StonyKillBeekeepers. 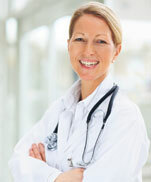 Natural Approaches to Anxiety – Learn holistic ways to manage anxiety from a naturopathic doctor. $25. $20 as part of a series. Beacon of Light Wellness Center, 4 S Chestnut St, Beacon. Alison 845.202.3515. BeaconOfLightWellnessCenter.com. Homebuyer Orientation – 6:30-8pm. Learn about CHI’s services, the steps to homeownership and the resources available. Held monthly. Free. Greenburgh Public Library, 300 Tarrytown Rd, Elmsford. Register: CHIGrants.org. Healers Sacred Circle at Universal Healing Arts – 7:30-9:30pm. An atmosphere of peace and healing led by Amazing Healer Gene Krackhel. Must have background in energy healing. $20. 4 Crestview Ave, Cortlandt Manor. 917.737.4325. UniversalHealingArts.com. Opioid Crisis TED Talks at Somers Library – 1-3pm. Viewing and discussion of two TED Talks on countering the opioid crisis. Route 139 and Reis Park, Somers. Info: 914.232.5717; visit SomersLibrary.org. Finding Your Energetic Core supported with Homeopathy – 7:30pm. With Janice Solomon. Gentle yoga, breath work and visualization along with homeopathic concepts for vitality and health. Rye Free Reading Room, 1061 Boston Post Rd, Rye. Hosted by HolisticMoms.org. Qi Gong Class – 10-11am. (2/8, 2/15, 2/22 & 3/1) With Lorraine Hughes. $15. Sandy Dutchess Yoga, 1575 Route 376 (Lynn Building) corner of All Angels Hills Rd, Wappingers Falls. Register: 845.416.4598.Empoweredbynature.net. Natural Way to Quit Alcohol, Sugar, Smoking… – 7-7:45pm. Learn about a simple, effective treatment for quitting smoking, alcohol, sugar and more. 80 percent plus success. Simpler than most dare to believe. Free info session. Briarcliff location. 914.473.2015. QuitWithQuinn.com. Healing Grief: A Medium’s perspective & Guidance on the Grief Process and the Afterlife – 7-8:30pm. With Carla Blaha. $35. Synchronicity, 1511 Rte 22 Brewster. Synchronicity, 1511 Rte 22, Brewster. Reserve seat: 845.363.1765. SynchronicityNY.com. Adult Guided Channeling/Meditation Group – 7:15-8:15pm. With Merrill Black. Unique theme, meditation and group discussion. $20. The Temperance Center, 453 White Plains Rd, Ste 203, Eastchester. 914.793.2600. TheTemperanceCenter.com. Group Past Life Regression – 7:30-9pm. For those wondering about their past life/lives. Take a journey into the unknown. $20. Universal Healing Arts, 4 Crestview Ave, Cortlandt Manor. Info: 917.737.4325. UniversalHealingArts.com. Curing Addiction from the Core: Quit with Quinn Info Session – 7:45-8:30pm. Learn about the unseen energy of addiction and how this simple, natural method can help one quit for good. Alcohol, smoking, sugar, behaviors. 80 percent plus success. Free. Briarcliff location. 914.473.2015. QuitWithQuinn.com. Spot Bald Eagles at Boscobel – 9am-4pm. Snow date Feb 10. Viewing site for Teatown Hudson River EagleFest. No charge to visit EagleFest. Registration is not necessary. Info: Boscobel.org. Tickets to EagleFest in Croton: Teatown.org. Foot Reflexology Clinic – 11am-6pm. With Reflexologist Lorraine Hughes. Experience reflexology and find out what it’s all about. 20 and 30-min sessions offered at discounted rate. Appointments recommended. Hands of Serenity Healing, 1129 Main St, Fishkill. Register: 845.896.1915. HandsOfSerenityHealing.com. Introduction to Ayurveda and its Health Connection to Yoga – 1-4pm. Lecture presented by Dr. Somesh Kaushik, an Ayurvedic and Naturopathic physician. $25. Inner Balance Studio, 1072 Rte 311, above Sauro’s Deli, Patterson. RSVP Requested: 845.661.8664. InnerBalanceStudio.org. Reiki 1 Class – Feb 9-10. 1-5pm/Sat and Sun. With Anne Bentzen. Learn foundation skills for self-healing and treating others. Receive four attunements, manual and certificate. $200. Armonk. Register: 914.588.4079. Balancing4Life.com. The Karma of Your Yoga Cues – 1:30-4:30pm. With Jason Ray Brown. Discover what not to say, as well as, what to say. $45 members. $65 nonmembers in advance. The Yoga Studio, Club Fit, 584 N State Rd, Briarcliff Manor. Info: Audrey Brooks: 914.582.7816. YTAYoga.com. Mediumship Demonstration – 2-4pm. Limited seating of 15 people. Tickets: $45. Celestial Touch, 7 Arch St, Pawling (Village). Preregistration required/info: 845.244.1767. Holistic Chamber of Commerce Holistic Happy Hour – 6:30pm. Members will bring snacks, and nonmembers can attend for $5. Angel Aura Spiritual Boutique, Pawling. Information visit: HolisticChamberOfCommerce.com/pkpse. Reiki II – 11am-6pm. Class covers the sacred Reiki symbols, chakra balancing, history taking and client confidentiality. Participants do a guided meditation with Reiki symbols to deepen understanding of them. $175. Hands of Serenity Healing, 1129 Main St, Fishkill. Register: 845.896.1915. HandsOfSerenityHealing.com. Angelic Channeling – Noon-4pm. With Margaret Doner. Have an opportunity to have a dialogue with the angelic realm and other spiritual entities. Find soul’s purpose, karmic history and more. $125. Universal Healing Arts. 4 Crestview Ave, Cortlandt Manor. 917.737.4325. UniversalHealingArts.com. Heal Yourself and Others with Reflexology – 3-5pm. Christine Knowlton, introduces premise and techniques to show how it reduces stress and improves wellness. $45. Soulauras Wellness Center, 510 N State Rd, Briarcliff Manor. Info: Laura 914.941.2400. Journey to Love Valentine’s Day Workshop – 7-8:15pm. Led by Pritam Bani Kaur. Heart-centered focus with meditation, breath and deep relaxation; Gong and sound healing techniques. $25/$45 couple. Devotion Yoga of Westchester, 2055 Albany Post Rd, Croton on Hudson. Info: 914.930.7707. Register: dailydevotionyoga.com Classes/Events tab. Holistic Chamber of Commerce Meeting – 6:30-8pm. Topic: Preparing Your Tax Documents. Meetings are free for HCC members and $10 for nonmembers. Asian Temptation Fusion, 718 Dutchess Turnpike, Poughkeepsie. Info: HolisticChamberOfCommerce.com/pkpse. Bionutrient Food Association Meeting – 5:30-7:30pm. Local growers, gardeners and anyone who may be interested in improving the quality of foods, through regenerative farming practices, are encouraged to attend. Sugar Hill Farm, 403 Harris Rd. Bedford Hills. Free. Info: WestchesterLandTrust.org. Adult Guided Channeling/Meditation Group – 8-9pm. With Merrill Black. Unique theme, meditation, group discussion. $20. The Temperance Center, 453 White Plains Rd, Ste 203, Eastchester. 914.793.2600. TheTemperanceCenter.com. Yin Yoga – 8-9:30pm. Weekly. A gentle movement to enlighten the body, mind and spirit. Mats provided free of charge. $15. Universal Healing Arts. 4 Crestview Ave, Cortlandt Manor. 917.737.4325. UniversalHealingArts.com. Quit Alcohol Simply and Permanently – 7-7:45pm. Learn about Quit with Quinn: helping people overcome alcohol, smoking, sugar and other addictions more easily than they ever thought possible. 80 percent plus success. Free info session. Briarcliff location. 914.473.2015. QuitWithQuinn.com. A Three-Part Series for Serious Healers: Unlocking Secrets of Healing – 7:30-9pm. Led by Gene Krackhel. Series starts with getting rid of fear. $125 series. $50 individual session. Universal Healing Arts. 4 Crestview Ave, Cortlandt Manor. 917.737.4325. UniversalHealingArts.com. Natural Way to Quit Sugar, Overeating, Smoking… – 7:45-8:30pm. Learn about a simple, effective method for quitting smoking, alcohol, sugar and more. 80 percent plus success. Simpler than most dare to believe. Free info session. Briarcliff location. 914.473.2015. QuitWithQuinn.com. Winter on the Farm – 11am-2pm. No-snow date: 2/23. Festivities include: farm animals, draft-horse-drawn sleigh rides, learn about the plants from a master gardener, maple syruping. Free. Donations appreciated. 79 Farmstead Ln., Wappingers Falls. Info: StonyKill.org. The Essence, Spirit and Energy of Essential Oils – 1-5pm. Private location, please contact Lorraine Hughes via web site for more info: EmpoweredbyNature.net. Self-Care Sunday Retreat – 9:30am-5:30pm. Six teachers have come together to help restore and replenish feminine energy through empowering classes and workshops. $130. Balance Wellness Studio, 1851 E Main St, Rte 6, Mohegan Lake. Schedule/details/registration: 914.374.1471. BalanceOn6.com. Interfaith Sundays at the Chapel at Croton Falls – 10:30am-12noon. I Know Why the Caged Bird Sings: A Celebration of Freedom with Dr. Hans B. Hallundbaek, Presbyterian Prison Partnership. 609, Rt. 22, Croton Falls. Info: chapelatcrotonfalls.org. Journey for Your Soul’s Purpose – 11:30am-1pm. With Savannagh $20. Synchronicity, 1511 Rte 22, Brewster. Reserve seat: 845.363.1765. SynchronicityNY.com. Yin Yoga Class – 8-9:30pm. Release that which does not serve. Yoga class leads into a full moon ceremony. $25. Howling and give-aways included. Universal Healing Arts, 4 Crestview Ave, Cortlandt Manor. 917.737.4325. UniversalHealingArts.com. ADD Just Doesn’t Add Up – 7-9pm. Is it really a short attention span? Learn current facts and how to distinguish visual problems that mimic or complicate AD(H)D. Free. Dr. Samantha Slotnick, 495 Central Park Ave, Ste 301, Scarsdale. RSVP, Jane: 914.874.1177. DrSlotnick.com. Natural Way to Quit Alcohol, Sugar, Smoking… – 7:30-8:30pm. Learn about a simple, effective treatment for quitting smoking, alcohol, sugar and more. 80 percent plus success. Simpler than most dare to believe. Free info session. Briarcliff location. 914.473.2015. QuitWithQuinn.com. Backyard Sugaring at Sugar Hill Farm – 11-12:15pm. Rain date: 2/24. Hands-on program, includes history, storytelling, science and sap tasting. 403 Harris Rd., Bedford Hills. Info: 914.234.6992 x 15, WestchesterLandTrust.org. Reiki 1 & 2 – 11am-4pm.With Marcus Feighery. $275. Synchronicity, 1511 Rte 22, Brewster. Reserve seat: 845.363.1765. SynchronicityNY.com. Discover Your Power Within: Shine on! With Kacey – 3/1-3/3. 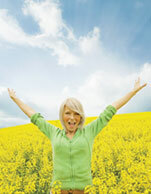 Join like-minded women of all ages who want to live well and flourish at every stage of life. Renew body, mind spirit through both group presentations and self-guided exercises in this weekend retreat. $250 includes accommodations and all meals and materials. Mariandale, Ossining. Register: 914.941.4455. Info: Mariandale.org. Invasive Vine Removal – Free-a-Tree Program – Join Groundwork Hudson Valley in combating a variety of invasive vines along the South County Trail, 2 Lawrence St, Ardsley, Info: Victor Medina: 914.375.2151. GroundWorkHV.org. The following events appear in Natural Awakenings – Westchester, Putnam, Dutchess NY, January 2019 Edition. Help Yourself and Others with Reflexology – 6:30-8:30pm. With Nationally Certified Reflexologist, Christine Knowlton. Four-part workshop teaching techniques to address issues of head, neck and shoulder. $120 series. $100 seniors. $45 drop-in. Soulauras, 510 N State Rd, Briarcliff. RSVP required: 914.941.2400. Soulauras.com. Zen Body, Zen Soul – 10am-Noon. Four-week series. Cleanse the mind and care for the body incorporating mindfulness and creating holistic, natural bath and body products. $40 weekly. $140 prepaid for series. Hands of Serenity Healing, 1129 Main St, Fishkill. 845.896.1915. HandsofSerenityHealing.com. Guided Meditation – 10:30am. With Dr. Stacey Lamar. Learn basic techniques to connect with the divine, balance chakras and prepare for the busy week. $10. The Source NY, 143 Boardman Rd, Poughkeepsie. 845.214.0452. TheSource-NY.com. Aura-Soma Color Therapy Info Session – 11:15am. Learn the healing power of crystals, gems and color. Reveal one’s true potential. Free. The Source NY, 143 Boardman Rd, Poughkeepsie. 845.214.0452. TheSource-NY.com. Psychic Reiki Workshop – Noon-2pm. With Brett Bevell. Learn techniques to connect with the divine, self-heal and empower. No previous experience necessary. $30. The Source NY, 143 Boardman Rd, Poughkeepsie. 845.214.0452. TheSource-NY.com. New Year Reflections – 3-5pm. Ascend and Magazzino present an afternoon of yoga, art and self-reflection with renowned yogi and author Elena Brower. $60. Magazzino Italian Art, 2700 Rte 9, Cold Spring. AscendCenter.com. Energy Medicine for the 21st Century Class – With Bernadette Bloom. Learn how to heal mental, emotional and physical issues by balancing the chakras with energy healing from Tibet. Katonah or Zoom. 239.289.3744. TheEsotericBloom.com. Reiki l –11am-6pm. Learn history of Reiki, hand positions, Reiki meditations and energy exercises. Level l attunement and hands on practice. $140. Hands of Serenity Healing, 1129 Main St, Fishkill. Register: 845.896.1915. HandsofSerenityHealing.com. Tranquility Tuesday – 7pm. Guided meditation/journaling series to clear mind, develop focus and heighten awareness; combining meditation with a journaling practice. Ongoing series. $10 cash. Hands of Serenity Healing, 1129 Main St, Fishkill. Register: 845.896.1915. HandsofSerenityHealing.com. 10 Week Positive Parenting Course – 9:30-11:30am, 1/8, 1/15, 1/22, 1/29, 2/5, 2/26, 3/5, 3/12, 3/19, 3/26. With Ann Magalhaes. Learn a toolbox of parenting skills and strategies to manage the day-to-day challenges of being a parent. $550. Wainwright House, 260 Stuyvesant Ave, Rye. Info: 914.967.6080; wainwright.org. Intro to Mindfulness Meditation: A 3 Week Series – 7-8:30pm. 1/ 9, 1/16 & 1/23. Explore the fundamentals of mindfulness meditation and how it cultivates mindfulness. $115 or $40 Drop-in per date. Wainwright House, 260 Stuyvesant Ave, Rye. Info: 914.967.6080; wainwright.org. Vision & Success in School – 7-9pm. Discover tools to identify children having trouble learning. 25 percent of children have vision problems keeping them from reaching their full potential. Free. Dr. Samantha Slotnick, 495 Central Park Ave, Ste 301, Scarsdale. RSVP, Jane: 914.874.1177. DrSlotnick.com. Help Yourself and Others with Reflexology – 6:30-8:30pm. With Nationally Certified Reflexologist, Christine Knowlton. Four-part workshop teaching techniques to address issues of chest and upper abdominal region. $120 series. $100 seniors. $45 drop-in. Soulauras, 510 N State Rd, Briarcliff. RSVP required: 914.941.2400. Soulauras.com. The Amazing Healer at Universal Healing Arts – 7-9pm. Gene Krackhel will be doing a group healing at Universal Healing Arts. Gene brings comfort and peace to those who seek mental, physical or spiritual healing. Must register: 914.737.4325. Weight Loss and Healing – 7:30pm. Free no obligation orientation on holistic weight loss and healing. Universal Healing Arts, 4 Crestview Ave. Cortlandt Manor. Reserve seat: 914.788.9355. Systemic & Family Constellations – A revolutionary approach to addressing personal and systemic issues–whether in relationship to others, at work, with the self or with the world at large. $40. The Aligned Center, 1 Bridge St, Ste 64, Irvington. Info, Faryn Sand: 914.292.0930. TheAlignedCenter.com. Flu Season Remedies – 1-5pm. Learn to make elderberry syrup and fire cider to stave off the season’s illnesses. Leave with a jar of each plus recipes and instructions. $50, supplies included. Hands of Serenity Healing, 1129 Main St, Fishkill. 845.896.1915. HandsofSerenityHealing.com. Shake Your Soul: The Yoga of Dance – 1:30–4:30pm. Connect with the natural dancer within, with Kripalu’s Dan Leven. $45 members/$65 nonmembers in advance. The Yoga Studio, Club Fit, 584 N State Rd, Briarcliff Manor. Info: Audrey Brooks: 914.582.7816. ytayoga.com. Athleta Scarsdale, Meditation and Book Signing – 10am. With Jodi Baretz. Mindful Is the New Skinny. 917.974.9446. JodiBaretz.com. Yoga Nidra and Sankapla Workshop for the New Year – 3-5pm. With Deirdre Breen. Relax the physical and energetic bodies and begin the New Year with clarity. 914.232.3473. More info: GoldenPrana.Yoga. Heal Yourself and Others with Reflexology – 4-6pm. With Christine Knowlton. Learn premise and techniques of this therapy and how to reduce stress and improve wellness through gentle touch on feet, hands and ears. $30. Universal Healing Arts Connection, 4 Crestview Ave, Cortlandt Manor. Christine: 914.837.8226. ReflexForWellness.com. Reiki Training Information Session – 4:30-5:30pm. Hudson Valley Healing Center in Poughkeepsie welcomes Reiki Master Kienan Lynch. Learn about this ancient energy work. Free. Register: 845.849.0838. Restorative Qigong – 7-8pm. New Year holiday special 10 classes for $100. Must register by Jan 8. 4 Crestview Ave, Cortlandt Manor. Ask about a free class: 914.737.4325. UniversalHealingArtsConnection.com. Natural Approaches to Stress Management – Learn holistic ways to reduce stress from a naturopathic doctor. $25. $20 as part of a series. Beacon of Light Wellness Center, 4 S Chestnut St, Beacon. Alison: 845.202.3515. BeaconOfLightWellnessCenter.com. Team Trivia Night at Hayfields – Jan 16, Feb 20, Mar 20 – 6:30pm/doors open; 7-9:30pm. Recommended for teams of four people. $5. Food, beer and wine available along with great prizes for the winning team. 1 Bloomer Rd, North Salem. HayfieldsMarket.com. White Plains Library, Ditch the Diet New Year’s Resolution – 7pm. With Jodi Baretz. 917.974.9446. JodiBaretz.com. Free Introduction to Principles of Ayurveda: On Our Mat and in Our Lives – 4-5pm. With Deirdre Breen. Learn Ayurveda and yoga teachings to support optimal health. Golden Prana Yoga, 223 Katonah Ave, Katonah. 914.232.3473. More info: GoldenPrana.Yoga. Aligned Financy Happy Hour – 6-7pm. For those in the finance industry, a time to relax, connect with others and receive support to find balance in life. Free. The Aligned Center, 1 Bridge St, Ste 64, Irvington. Info, Faryn Sand: 914.292.0930. TheAlignedCenter.com. Help Yourself and Others with Reflexology – 6:30-8:30pm. With Nationally Certified Reflexologist, Christine Knowlton. Four-part workshop teaching techniques to address issues of lower abdominal and pelvic region. $120 series. $100 seniors. $45 drop-in. Soulauras, 510 N State Rd, Briarcliff. RSVP required: 914.941.2400. Soulauras.com. Invasive Vine Removal-Free-a-Tree Program – Assist Groundwork Hudson Valley in combating a variety of invasive vines along the Old Croton Aqueduct Trail. Old Croton Aqueduct Trail, 13-11 Arthur St, Yonkers. Info, Victor Medina: 914.375.2151. GroundworkHV.org. Mediumship Circle – 7-8:30pm.With Carla Blaha. $40. Synchronicity, 1511 Rte 22, Brewster. Reserve seat: 845.363.1765. SynchronicityNY.com. Reiki 1 & Reiki 2 Certification – Jan 19-20. With Shima Chayvet who “believes in maintaining the integrity of this ancient art of hands on healing.” $250. Universal Healing Arts, 4 Crestview Ave. Cortlandt Manor. Info: 917.279.9577. Communing with the Angels Workshop – 1-4pm. With Pamela Landolt. Discover best method for receiving angelic messages. Location TBD. More info: 914.204.1323. Workshops/classes: PamsDailyAngelNotes.com. The Bars –9:30am-5:30pm. Explore and learn the body process known as The Bars. Become free from auto-pilot and pave the way to authentic self. $350. Soulauras , 510 N State Rd, Briarcliff. RSVP required: 914.941.2400. Soulauras.com. Chakra Watercolor Workshop! – Jan 20, 27 and Feb 3. 2-5pm. Awaken one’s artistic spiritual healing power. $180 includes materials. The Universal Healing Arts Center, 4 Crestview Ave, Cortlandt Manor. Preregister/info: 914.737.4325. Monthly Lunar Sound Bath – 4-6pm. With Hari Sangat Kaur. Honor the energies of the present moon cycle. Gentle kundalini kryia, extended gong bath and chanting. Golden Prana Yoga, Katonah. 914.232.3473. Info: GoldenPrana.Yoga. Premier of “DoshAsana:” Ayurveda and Yoga Together – 9-10:30am. DoshAsana combines Ayurveda yoga, pranayama, spine awareness, guided meditation, seasonal nutritional guidance and five sense therapies. First class free. Golden Prana Yoga, Katonah. 914.232.3473. More info: GoldenPrana.Yoga. Help Yourself and Others with Reflexology – 6:30-8:30pm. With Nationally Certified Reflexologist, Christine Knowlton. Four-part workshop teaching techniques to address issues of upper and lower extremities. $120 series. $100 seniors. $45 drop-in. Soulauras, 510 N State Rd, Briarcliff. RSVP required: 914.941.2400. Soulauras.com. The Psychiatric Drugging/Labeling of Children: What Is Informed Consent? – 7:30pm. Sheila Gallo of AbleChild.org will speak about the right of parents to refuse to medicate their child and the risks of mandatory mental health screening. Rye Free Reading Room, 1061 Boston Post Rd, Rye. HolisticMoms.org. Online Dating: How Face Reading Can Help You Find Mr/Mrs Right in the Digital Age – 7-8pm. With Elaine Gartner. $20. Synchronicity, 1511 Rte 22, Brewster. Reserve seat: 845.363.1765. SynchronicityNY.com. Meditation for Personal and Global Healing – 7-8:15. Meditation/lecture/workshop with Dr. Andrew Vidich PHD, International Meditation teacher and writer to discover benefits of meditation. Free. First Unitarian Society of Westchester, 25 Old Jackson Ave, Hastings-on-Hudson. Info: 914.433.1800. sos.org. Reiki Master Class – Jan 26 and 27. Learn the mystery of the secret teaching known as Shinpiden. Those already attuned to Reiki 1 and 2 must bring prior certifications. $1,000. Universal Healing Arts, 4 Crestview Ave. Cortlandt Manor. Info: 917.279.9577. Blue Rock School and Summer Play Camp Winter Information Session & Campus Tour – 10am-2pm. Meet faculty and learn about the creative learning environment. Blue Rock School, 110 Demarest Mill Rd, off Germonds Rd, West Nyack. RSVP, Beverly Stycos: 845.535.3353. Register: 845.627.0234. BluerockSchool.org. Intro to Yoga & Meditation for Total Beginner Workshop – 1-3pm. With Ann Casapini. For those new to yoga. Yoga styles: asana, breath-work, props, chairs, guided meditation and savasana. $45. Limited space. The Temperance Center, 453 White Plains Rd, Ste 203, Eastchester. Must preregister/prepay: 914.793.2600. TheTemperanceCenter.com. Free Lecture, What is Ayurveda and What Can it Do for Me? – 1:30-3:30pm. With Dr. Somesh Kaushik, an Ayurvedic and Naturopathic physician. Tovamiyoga, 112 West Boston Post Rd, Mamaroneck. 914.618.4887. TovamiYoga.com. The Marriage of Psychotherapy and Astrology: A Match Made in Heaven – 2-3:30pm. With renowned psychotherapist and astrologer, Alan Ellis. $30. First time event. Universal Healing Arts, 4 Crestview Ave. Cortlandt Manor. Must register: 914.737. 4325. Natural Way to Quit Alcohol, Sugar, Smoking… – 1-2pm. Learn about a simple, effective treatment for quitting smoking, alcohol, sugar and more. 80 percent plus success. Simpler than most dare to believe. Free info session. NYC location, E37th btwn Park & Lex. 914.473.2015. QuitWithQuinn.com. Death Cafe – 1-3pm. Maggie Callanan will be talking about “Those Dying Slowly of Illness”.at the Katonah Village Library, 26 Bedford Rd, Katonah. Natural Approaches to Self-Care – Learn holistic ways to improve health from a naturopathic doctor. $25. $20 as part of a series. Beacon of Light Wellness Center, 4 S Chestnut St, Beacon. Alison: 845.202.3515. BeaconOfLightWellnessCenter.com. Eyes and the Brain – 7-9pm. Vision is more than 20/20 eyesight. Learn to reduce visual stress and make efficient use of vision. Free. Dr. Samantha Slotnick, 495 Central Park Ave, Ste 301, Scarsdale. RSVP, Jane: 914.874.1177. DrSlotnick.com. Manifest Your 2019 – – 7-9pm. With Carla Blaha. Learn to apply the Law of Attraction to create desires. Tangible realistic exercises to produce results. $35. Soulauras, 510 N State Rd, Briarcliff. RSVP required: 914.941.2400. Soulauras.com. Zen Mind, Zen Space – 10am-Noon. Four-week series. Combines mindfulness meditation with the creation of sacred art, including smudging tools, black rock painting, dreamcatchers and sacred candles. $40 weekly. $140 prepaid for series. Hands of Serenity Healing, 1129 Main St, Fishkill. 845.896.1915. HandsofSerenityHealing.com. The following events appear in Natural Awakenings – Westchester, Putnam, Dutchess NY, December 2018 Edition. 100-Hour Meditation Teacher Training – Taught by Melanie Ryan. The Center for Health and Healing, Mt Kisco. 914.864.0462. Center4Healing.net. The Margaret Eberle Fair Trade Festival – 10am-4pm. More than 30 international and local fair trade arts and crafts vendors. Live music. Free parking. $5 suggested admission. MUMC Sanctuary, Memorial United Methodist Church, White Plains. Reiki 1 & 2 – 11am-4pm.With Reiki Master Marcus Feighery. $275. Synchronicity, 1511 Rte 22, Brewster. RSVP: 845.363.1765. SynchronicityNY.com. Annual Arlington Holiday Festival – Noon-6pm. Sip Goddess nog while walking through the streets of Arlington on the Eggnog Crawl. Shopping village, children’s activities, holiday parade and tree lighting. Dreaming Goddess 44 Raymond Ave, Poughkeepsie. 845.473.2206. ArlingtonHasIt.org. Monthly Sound Healing with Tibetan Singing Bowls – 5:30-7pm. Michelle Clifton. Experience deep relaxation and cleansing using the ancient sound healing bowls. $40 drop-in. Mt Kisco. Info: 914.447.0822. Center4Healing.net. 5 Rhythms Dance – 7-9pm. Dance the 5 Rhythms and allow the body to be danced. Beacon of Light Wellness Center. 845.202.3515. BOLWC.com. Water Ceremony – 10-10:30am. Offer up prayers with tobacco and song, sending them down to the ocean, for the healing of the waters of Mother Earth and for all of relations. Free. Meet at the Poughkeepsie Boat Launch. 845.473.2206 DreamingGoddess.com. Essential Oils for Stress Relief and Anxiety – 11:30am-1:30pm. With Jessica Sheridan owner of Lionessheart Botanicals. Make a mini aromatherapy inhaler and roll-on. All supplies included. NYIOA certified. $30. Balance Wellness Studio, 1851 E Main, Rte 6, Mohegan Lake. Must RSVP: 914.374.1471; BalanceOn6.com. Voice Empowerment Workshop – 1-4 pm. Presented by Ronni Sarrett: VocalFocus.com. Free the voice to free expressiveness. $40/$45, Wainwright House, 260 Stuyvesant Ave, Rye. 914.967.6080. WainwrightHouse.org. Internationally Acclaimed Psychic Medium Suzane Northrop’s Small Group Message Circle – 1:30-3pm. $299. Synchronicity, 1511 Rte 22, Brewster. Questions: 845.363.1765. Register: 888.692.8111. Online registration/follow link: SynchronicityNY.com. Goddess as Muse: 25th Anniversary Celebration of The Wild Mother – 2:30-4:30pm. With author Elizabeth Cunningham, Explore one’s own experience as Goddess as the muse in work and in life. Dreaming Goddess, 44 Raymond Ave, Poughkeepsie. 845.473.2206. DreamingGoddess.com. The Ecstasy of Tantric Drawing – 3-6pm. With Diane Green and jLTg Holo. Touch boundless freedom and limitless creativity with timeless tantra. Beacon of Light Wellness Center. 845.202.3515. BOLWC.com. Osteoporosis Awareness Group Plus Holiday Party – 7-9pm. Speaker is Annette Jackson from Buff Bones, a system of exercise for bone and joint health. Free. Burke Rehabilitation Hospital, 785 Mamaroneck Ave, corner Heatherbloom Rd, White Plains. Info: Susan: 914.260.9339. Monday Meditation Class – Dec 3, 10 and 17. 7:30-9pm. Guided moving meditations. $5. Ganesha Spa, Peekskill. Irina Ionina: 914.906.7238. GaneshaSpa.com. Community Opioid Overdose Training – 6-7:30pm. Free training for the public on how to respond to an opioid overdose using Naloxone (Narcan). Somers Library, Rte 139 and Reis Park, Somers. Preregistration required: 914.995.6584. Westchestergov.com/health. Qi Gong Classes – Dec 4, 11 and 18. 6:30-7:30pm. $10 each date. Sacred Space Healing Arts, 436 Main St, Beacon. Register: 845.416.4598. EmpoweredByNature.net. Ayurveda, Diet and Nutrition: Achieving Balance and Harmony – 7-9pm. With Dr. Somesh Kaushik, an Ayurvedic and Naturopathic physician. Free lecture. Pawling Library, 11 Broad St, Pawling. 845.355.8444. PawlingLibrary.org. Foodie Club for Teens – Dec 6, Jan 3, 17, Feb 14 and 28. 3:15-4:30pm. Make snacks and small meals for the group to enjoy using the library staff kitchen. For teens/tweens in grades 6th and up. Somers Library. Register: 914.232.5717. Additional dates: SomersLibrary.org. Raw Rainbow Food Workshop – 7-9pm. Fun and interactive workshop about raw rainbow eating. $30. The Aligned Center, 1 Bridge St, Ste 64, Irvington. Faryn Sand: 914.292.0930. TheAlignedCenter.com. Fluoride and Sugar Secrets – 7:30pm. Holistic Moms meeting with dentist turned food and environmental educator, Dr Susan Rubin. Learn info and dental strategies for all ages. Rye Free Reading Room, 1061 Boston Post Rd, Rye. Hosted by: HolisticMoms.org. Qi Gong Classes – Dec 7, 14, 21 and 28. 10-11am. $15. Sandy Dutchess Yoga, 1575 Rte 376, Lynn Building at the corner of All Angels Hills Rd, Wappingers Falls. Register: Empowered by Nature: 845.416.4598. Dutchess Yoga direct: 845.902.8206. Empoweredbynature.net. New Moon Manifestation – 7-8pm. Together manifest hearts’ desires using The Law of Attraction and the creative energies of the New Moon. $10. Dreaming Goddess, 44 Raymond Ave, Poughkeepsie. 845.473.2206. DreamingGoddess.com. Winter Solstice/Transitioning with the Season Workshop – 12/8, 12/15 & 12/22. A 3 part Workshop Event. First 2 gatherings build in preparation for the final gathering on the 22nd which will include a labyrinth walk. $225. 109 Croton Ave, suite 205, Ossining. Info: Lauren 914.534.1294. WillowWispWellness.com. Reiki I Class – Dec 8 and 9. 9am-2pm. With Irina Ionina Reiki Master. Usui-Takata lineage with 22-years’ experience. $300. Peekskill. 914.906.7238. Info: GaneshaSpa.com. Fall in Love with Yourself Workshop – Noon-3pm.With Eva Kornet. Learn tools to fall in love with oneself and live daily life from the heart. $40. Yoga of Westchester, 2055 Albany Post Rd, Croton on Hudson. Register in advance: 914.930.7707. DailyDevotionYoga.com. Network Spinal Analysis Talk – 2-4pm. Learn about NSA and experience a mini-session to release stored tension in the nervous system. $40. $35 advance. The Center for Health and Healing, 4 Smith Ave, 2nd Flr, Mt Kisco. Register: 914.218.6424. Info: LawrenceGSternDC.com. Divine Sleep Yoga Nidra – 10-11am. With Claudia Gukeisen. Take part in a monthly guided relaxation practice, which brings mind and body into its natural healing and restful state. $20 drop-in. Mt Kisco. 914.673.3313. Center4Healing.net. Meditation to Awaken Your Light Body – 11:30am-1pm. With Michael Rosenbaum. $20. Synchronicity, 1511 Rte 22, Brewster. RSVP/reserve spot: 845.363.1765. SynchronicityNY.com. Monthly Reiki Circle – 2-3:30pm. With Deborah Amjadi. Experience a restorative reiki healing experience. Reiki healing reduces stress, relieves pain and accelerates healing without the use of medication. $20 suggested drop-in. Mt Kisco. 914.864.0462. Center4Healing.net. Intro to Sound Healing and Deep Relaxation Sound Bath Meditation – 4-5:30pm. Experience an interactive session on best uses of sound tools and an immersive sound meditation. Beacon of Light Wellness Center. 845.202.3515. BOLWC.com. Winter Art Drop-In – Dec 10, 17, Jan 7, 14 and 28. 10:30am-12:30pm. Relaxing drop-in art class. Quiet music will accompany while participants relax and create art with other enthusiastic art lovers. $30. Somers Library. Info: 914.232.5717. SomersLibrary.org. Ayurveda Seasonal Detoxing: How to Do It Safely and Gently – 12:30-1:30pm. With Dr. Somesh Kaushik, an Ayurvedic and Naturopathic physician. Free lecture. North Castle Library, 19 Wippoorwill Rd E, Armonk. 914.273.3887. NorthCatleLibrary.org. Tea & Stones – 6:30-7:30pm. A lecture to connect and learn about gems, stones and their incredible properties. Free. Dreaming Goddess, 44 Raymond Ave, Poughkeepsie. 845.473.2206. DreamingGoddess.com. Coping with Loss: A Panel Discussion – 7-9pm. The holidays can be an especially challenging time to navigate, grief-panelists will share on coping resiliently. $10. The Aligned Center, 1 Bridge St, Ste 64, Irvington. Faryn Sand: 914.292.0930. TheAlignedCenter.com. Lovemore Chanting – 7-9pm. With Eileen O’Hare and friends. Join in for an evening of sacred chanting. Beacon of Light Wellness Center. 845.202.3515. BOLWC.com. Essential Oils for Minor Aches and Pains – 11:30am-1:30pm. With Jessica Sheridan. Learn to make 1oz bath salts and oil roll-on. All supplies included. NYIOA certified. $45. Balance Wellness Studio, 1851 E Main, Rte 6, Mohegan Lake. Must RSVP: 914.374.1471 BalanceOn6.com. Breathwork – 4-5:30pm. With Erika Forsell. Breathwork is an active meditation that uses the breath as a guide to our emotional body. Beacon of Light Wellness Center. 845.202.3515. BOLWC.com. Winter Solstice Healing Night – 4-6pm. With Merrill Black. Restorative yoga, singing, lighting ceremony and meditation. $30, half will go to charity. The Temperance Center, 453 White Plains Rd, Ste 203, Eastchester. 914.793.260. TheTemperanceCenter.com. Winter Solstice Magic: Interfaith Celebration of the Light – 6pm. Live music, magic and mystery. All ages are invited to bring a drum or a rattle. $15. Suggested donation. The Chapel at Croton Falls, 609 Rte 22, Croton Falls. Info: ChapelatCrotonFalls.org. Energy Healing and Stress Relief – 6-7:30pm.With Rose Christmas. Adult program. Registration is required. The Kent Library, 17 Sybil’s Crossing. Info: 845.225.8585. KentLibrary.org. The Marriage of Psychotherapy & Astrology: A match made in ‘Heaven’ – With Alan Ellis LCSW, Westchester Holistic Network, 7-8:30pm. Networking begins 6:30pm. WHN members and first-timers free. $10 for repeat non-members. Ixchel Center, Hartsdale Register: WestchesterHolisticNetwork.org. BodyWise Meditations: Unwinding with the Inward Spiral of Winter – 12/21/18- 3/21/19. Candle lit classes start with circle, grounding, intention setting and partially guided meditation. $360 (includes a gift bundle) or $35 each class. 109 Croton Ave, suite 205, Ossining. Info: Lauren 914.534.1294. WillowWispWellness.com. Winter Solstice Celebration – 7-9pm. Join in for meditation, gong bath and drum circle in celebrate the return of the Sun. $40. Register in advance. Yoga of Westchester, 2055 Albany Post Rd, Croton on Hudson. Register in advance: 914.930.7707. DailyDevotionYoga.com. Shamanic Reiki Hearth Circle – 5:30-7pm. With Melanie Ryan. Join in for a Winter Solstice Ceremony. Shamanic cosmology. Donations support indigenous people. All welcome. $20 suggested. Mt Kisco. 914.864.0462. Center4Healing.net. Christmas at the Chapel – 7:30 pm. Christmas Eve service. Led by acting Pastor June Tompkins. Deborah Moldow, Soloist. The Chapel at Croton Falls, 609 Rte 22, Croton Falls. Info: ChapelAtCrotonFalls.org. The following events appear in Natural Awakenings – Westchester, Putnam, Dutchess NY, September 2018 Edition. How Not to Take Your Nutritional Supplements – Ask The BloodDetective is a show hosted by Dr. Michael Wald covering disease prevention, health maintenance and other cutting edge natural health topics. Free. prn.fm. Ayurveda and Yoga: The Health Connection – 3-5pm. Dr. Somesh Kaushik, an Ayurvedic and Naturopathic physician, presents a free lecture. Free Dosha readings to the first six people who RSVP. Iyengar Yoga: Scarsdale/Greenwich, 75 Brewster Rd, Scarsdale. 914.629.1994; IyengarYogaScarsdale.com. Love and Forgiveness Power Point Presentation – 6:30-7:30pm. With Champa Patel. Love is positive virtue without emotional pain and makes forgiveness achievable. Look at how to waken capacity to love. Free. Brahma Kumaris World Spiritual Organization, E Fishkill. Info: 845.345.4831. Qi Gong Classes – 6:30-7:30pm. $10. Sacred Space Healing Arts, 436 Main St, Beacon. Register: 845.416.4598. EmpoweredByNature.net. Sunset Yoga in the Park – 5:45-7pm. Enjoy yoga and the beautiful setting of Kensico Dam Plaza. BYO mat or towel. Free. All levels. Kensico Dam Plaza, Valhalla. Info: 914.231.4033. thewpf.com. The Natural Life Business Partnership Hosted by Dr. Kaushik’s Ayurvedic and Naturopathic Clinic – 6-8pm. NLBP is a national member-based professional development organization for holistic, spiritual and earth-centered businesses. DKANC, 792 Rte 35, Cross River. 914.975.9088. Drkaushik.com. Info: TheNaturalLife.org. Detoxifying Your Mind with Raja Yoga Meditation – 6:30-7:30pm. There are effects of thoughts on the body. Learn how to teach the mind to have positive thoughts through meditation. Brahma Kumaris World Spiritual Organization, E Fishkill. Info: 845.345.4831. River Spirit Music & Arts Festival – Noon-10pm. features 19 acts on two stages, spanning the musical spectrum, kids’ zone, crafts, food, a wine garden and beer tent, vendors, social action and community booths, a bike corral, and a zero-waste program. $35-$10. Kids under 6 free. Tickets: RiverSpiritFestival.com. Drumming Play for Mental/Emotional Wellness – 2-4pm. With Dorinda Gay. Let go of responsibilities and mental/emotional overload. This experiential workshop will show a powerful way to rebalance and renew with music and play. $40. Center4Healing.net. Family Farm Festival at Stuart’s Fruit Farm – 4-7pm. Rain date Sept 9. Live music, food trucks and craft beer and cider, sack races, corn hole, corn maze and hayrides. Bring a picnic baskets or purchase food and drinks. Free. Somers. Info: WestchesterLandTrust.org. Malabsorption Madness! The Malabsorption-Malnutrition Disease Connection – Ask The BloodDetective is a show hosted by Dr. Michael Wald covering disease prevention, health maintenance and other cutting edge natural health topics. Free. prn.fm. Bicycle Sunday – Sept 9, 16, 23, 30. 10am-2pm. The Bronx River Parkway closes to vehicular traffic from the Westchester County Center in White Plains to Scarsdale Road in Yonkers for the exclusive use of bicyclists, walkers, runners and those with scooters and strollers. Rain cancels. Info: 914.995.4050. Parks.WestchesterGov.com. 6th Annual Superhero 5K and Kids Fun Run – Registration starts at 8am. Participants are encouraged to dress like their favorite superheroes and run or walk to raise money for Hudson Valley families battling cancer. Free. James Baird State Park in Pleasant Valley. Sparrow’s Nest: 845.204.9421. Diamond-Dart Meridian Sequence Workshop – 2-4pm. With Judith Muir and Karla Booth. Learn a profoundly healing modality that balances the body as it evolves and flows into a rhythmic, dance-like meditation. $50. The Living Seed, 521 Main St, New Paltz. Info: Judith Muir at 845.677.5871 or JudithMuir.com. Westchester Holistic Network: A practical approach to Spirituality: Reiki Fusion – 6:30pm/networking begins; 7-8:30pm/meeting. Free: WHN members and first-timers. $10 repeat nonmembers. Ixchel Center, Hartsdale. Register: WestchesterHolisticNetwork.org. Free Tai Chi for Breast Cancer Survivors – Sept 11, 18, 25, Oct 2, 9. 7:15-8:15pm. Develop tools to manage the physical and emotional side effects of treatment and meet other women with breast cancer. YWCA White Plains & Central Westchester, 515 North St, White Plains. Register: 914.949.6227 x208. Natural Way to Quit Alcohol, Sugar, Smoking – 7-7:45pm. Learn simple, effective method for quitting smoking, alcohol, sugar and more. 80 percent success. Simpler than most dare to believe. Free lecture. Briarcliff location. 914.473.2015. QuitWithQuinn.com. Free Meditation for Breast Cancer Survivors – Sept 12, 19, 26, Oct 3, 10. 7:15-8:15pm. Develop tools to manage the physical and emotional side effects of treatment and meet other women with breast cancer. YWCA White Plains & Central Westchester, 515 North St, White Plains. Register: 914.949.6227 x208. Curing Addiction from the Core: Quit with Quinn Info-Lecture – 7:45-8:30pm. Discover the unseen energy of addiction and how this simple, natural method can help participants quit alcohol, smoking and sugar behaviors for good. 80 percent success. Free Lecture. Briarcliff location. 914.473.2015. QuitWithQuinn.com. Doga Friday – 7-8:15pm.Yoga with dogs, all level vinyasa flow to benefit the SPCA. $25. Karma Road Yoga, 1250 Pleasantville Rd, Briarcliff Manor. Info, Betsy Egan: 914.382.6733. KarmaRoadYoga.com. Mediumship Circle – 7-8:30pm.With Carla Blaha. $40. Synchronicity, 1511 Rte 22, Brewster. RSVP: 845.363.1765. SynchronicityNY.com. Yonkers Riverfest – Noon-7pm. Rain-or-shine. Features more than 100 vendors selling food, clothing, and other items; a kids’ carnival; and an artist pavilion showcasing more than 20 local artists. Hudson riverfront along Main Street and Buena Vista Avenue. Free. Info: YonkersRiverFest.org. Manifesting Joy Workshop – Noon-2pm. Led by Ishvara Das. Guided meditation, chanting, visualization, consciousness and spiritual healing. Build and deepen spiritual practice. $30. Devotion Yoga, 2055 Albany Post Rd, Croton on Hudson. 914.930.7707. Register: DailyDevotionYoga.com under events tab. Healthy Sleep Workshop – 1:30-2:15pm. With Millie. Explore challenges to getting good sleep and strategize simple ways to improve its quantity and quality. $15. Balance Wellness Studio 1851 E Main St (Rte 6) Mohegan Lake. Must RSVP: 914.374.1471. BalanceOn6.com. Healing with CranioSacral Therapy – 2-4pm. With Joy Matalon. Bodies and minds store residual effects of stress and trauma. CranioSacral therapy works through the nervous system to release tension and trauma, bringing healing to acute and chronic pain. $40. Center4Healing.net. The All-Disease – Heart Disease Connection – Does Everyone Have Heart Or Blood Vessel Disease? – Ask The BloodDetective is a show hosted by Dr. Michael Wald covering disease prevention, health maintenance and other cutting edge natural health topics. Free. prn.fm. Interfaith Sundays at The Chapel at Croton Falls – 10:30am-12noon. Celebrating the U.N. International Day of Peace and annual Chapel Peace Pole re-dedication. All welcome. Refreshments follow. The Chapel at Croton Falls, 609, Rt. 22, Croton Falls. ChapelatCrotonFalls.org. Sensitive Soulful Women’s Embodiment Series – 3-5pm. Eight-session series. Embody sensitive and empathic gifts; learn tools for energy management, self-trust and self-love practices. $333 or $48/session requiring 24 hour preregistration. Soulauras, 510 N State Rd, Briarcliff. Info: DanaCanneto.com. Four Class Series – Qi Gong for Wellness – Sept 17, 24, Oct 2 and 15. 10:30-11:45am. $109. Kingston Campus – Ulster County Community College, 94 Mary’s Ave.Info: SunyUlster.edu/ce. The Spirit Salon at Katonah SPACE – 7-9pm. With Rev. Deborah Moldow, Interfaith Minister. Discussion on the topic of “Courage.” A safe space to dive deeply into a different issue each month from a spiritual perspective. Free. Katonah United Methodist Church, 44 Edgemont Rd, Katonah. Quit Alcohol Simply and Permanently – 7-7:45pm. Learn about Quit with Quinn—helping people around the world overcome alcohol and other addictions. Easier than people ever thought possible.80 percent success. Free lecture. Briarcliff location. 914.473.2015. QuitWithQuinn.com. Ho’Oponopono Workshop – 7-8:30pm. Led by Kathy Unger. Hawaiian Shamanic healing methods. Make dramatic changes in life by releasing blocks and allowing for greater connection to others. $30. Devotion Yoga, 2055 Albany Post Rd. Croton on Hudson. 914.930.7707. Register: DailyDevotionYoga.com under events tab. Natural Way to Quit Alcohol, Sugar, Smoking – 7:45-8:30pm. Learn simple, effective method for quitting smoking, alcohol, sugar and more. 80 percent success. Simpler than most dare to believe. Free lecture. Briarcliff location. 914.473.2015. QuitWithQuinn. International Day of Peace Meditation – 10-11:30am. Pritam Bani Kaur leads a special mediation class focused on inner and world peace. All levels. Suggested donation $20. Devotion Yoga, 2055 Albany Post Rd, Croton on Hudson. 914.930.7707. DailyDevotionYoga.com. Learn to Feng Shui for Your Home – 7-9pm. With Savannah . $35. Synchronicity, 1511 Rte 22, Brewster. RSVP: 845.363.1765. Info: SynchronicityNY.com. Outdoor Grass Volleyball Tournament – 8:30am-7pm. Coed grass tournament. Registration and fees required. Rain date: Sept 23. Tibbetts Brook Park, Yonkers. 914.231.2865. Info/registration, Beth: 914.231.4645. Parks.WestchesterGov.com. The Feminine Second Spring – Evolving with Grace, Vitality and Beauty through Perimenopause and Menopause – 10am-1pm. $40. Desmond Campus, Mount Saint Mary College, 6 Albany Post Rd, Newburgh. 845.565.2076. Register Online: msmc.edu/communityed. Shamanic Reiki Training – Level One – Sept 22-23. 10am-5pm. With Melanie Ryan. Learn to weave reiki and Shamanism. Harness this powerful healing energy, in deep connection with nature itself and channel this energy to oneself and others. $435. Center4Healing.net. Intro to Yoga & Meditation for Total Beginner Workshop – 11am-1pm. With Ann. For those new to yoga. Yoga styles, asana, breath-work, props, chairs, guided meditation, savasana. Limited space. $45. The Temperance Center, 453 White Plains Rd, Ste 203, Eastchester. Must preregister/prepay: 914.793.2600. TheTemperanceCenter.com. Light on Ganesha – 1:30-4:30pm. Explore the rich teachings and symbolism of the elephant deity, remover of obstacles. With Todd Norian. $45 members. $65 nonmembers in advance. The Yoga Studio, Club Fit, 584 N State Rd, Briarcliff Manor. Info, Audrey Brooks: 914.582.7816. ytayoga.com. Angel Class – Join Pamela Landolt, author of Discovering Angels for a one-hour free class about angels. Hudson Valley Holistic Market’s Embracing Autumn Spiritual/Metaphysical Fair, Locust Grove, Poughkeepsie. Info: Pam 914.204.1323. Fall Farm Fest – 10am-4pm. Healthy fun for the whole family. Local artisan vendors, feed the chickens, pumpkin patch, live music and more. $3 admission. Free: children under five. 1311 Kitchawan Rd (Rte 134), Ossining. FableFoods.com/farmfest. Quit Alcohol Simply and Permanently – 1-2pm. Learn about Quit with Quinn—helping people around the world overcome alcohol, smoking and other addictions. Easier than people ever thought possible.80 percent success. Free lecture. NYC location, E 37th btwn Park and Lex. 914.473.2015. QuitWithQuinn.com. The Healer’s Circle – 2-3:30pm. With Mary Ellen O’Brien. Powerful two-month program for healers to fully own their gifts and amplify their service. Four group meetings/four individual sessions. Includes Sundays: Oct 7, 21 and Nov 4. Cold Spring Retreat House. AwakenYourTrueEssence.com. Fall Equinox Healing Night – 4:30-6:30pm. With Merrill Black. Yoga, chanting, meditation, mudras, grounding and self-expression. $30. The Temperance Center, 453 White Plains Rd, Ste 203, Eastchester. 914.793.2600. TheTemperanceCenter.com. The Healer’s Circle – 10-11:30am. With Mary Ellen O’Brien. Powerful two-month program for healers to fully own their gifts and amplify their service. Four group meetings/four individual sessions. Includes Oct 10, 24 and Nov 7. Cold Spring Retreat House. AwakenYourTrueEssence.com. How to Meditate – 10:30am-Noon. With Melanie Ryan. Six workshop-style classes based upon the book How to Meditate by Ani Pema Chodron. Meditation instruction, presentations, posture, working with breath and cultivating an attitude of unconditional friendliness. $210. Center4Healing.net. Yoga Nidra & Reiki Healing Circle – 7-9pm. Led by Kathy Unger. Relax and heal within a circle creating harmony and bliss within mind, body and spirit. $30. Devotion Yoga, 2055 Albany Post Rd, Croton on Hudson. 914.930.7707. Register: DailyDevotionYoga.com under events tab. White Plains Savvy Women’s Alliance – 6:30 p.m., at the White Plains Library. The nonprofit organization educates and empowers women to take nontoxic living mainstream. Info: SavvyWomensAlliance.org. Hope for Lyme Disease – 7:30pm. Acupuncturist and Chinese Herbalist, Perry Levenson discusses his “Uprooting Lyme” approach, that supports the natural healing process for alleviating Lyme and other chronic diseases. Rye Free Reading Room, 1061 Boston Post Rd, Rye. Pilates at The Pillow: The New Science and Lost Art of Joe’s Work – Sept 28-30. With Terianne Neden and Sean Gallagher. Weekend immersion course. $1,100. Jacob’s Pillow, 358 George Carter Rd, Beckett, MA. Info: Elaine 845.876.5686, RhinebeckPilates.com. Emotional Healing & Clearing Circle – 7-9pm. With Savannah. $10. Synchronicity, 1511 Rte 22, Brewster. RSVP: 845.363.1765. SynchronicityNY.com. Introduction to Ayurveda – The Wisdom of Life – 10am-1pm. $39. UCCC Kingston, 94 St. Mary’s Ave. Info: SunyUlster.edu/ce. 57th annual Armonk Outdoor Art Show – 10am-5pm. Sept 29 & 30. Rain or shine. Features 185 juried artists, musical entertainment and free art activities for all ages. Food, craft beer and wine. $12. Children under 18 free. 205 Business Park Dr, Armonk. Tickets: ArmonkOutdoorArtShow.org. Open House at Karma Road Yoga – Noon-8pm. Free Yoga classes, crafts, children’s activities light refreshments and more. Karma Road Yoga, 1250 Pleasantville Rd, Briarcliff Manor. Info, Betsy: 914.382-6733. KarmaRoadYoga.com. Crystal & Sound Healing Workshop – 1-3pm. Co-led by Rosemary B. Lasher & Betty Sue Hanson. Relax and heal while surrounded in a crystal grid, immersed in the peaceful sound of the crystal harp. $75. Devotion Yoga, 2055 Albany Post Rd, Croton on Hudson. Preregistration required: 914.930.7707. Register: DailyDevotionYoga.com under events tab. Intro to Rohan – 6-8pm. With Michael Rosenbaum. How to go into the energy of the chakras and transform mental and emotional blockages stored in the unconscious mind. $20. Synchronicity, 1511 Rte 22, Brewster. RSVP: 845.363.1765. SynchronicityNY.com. Introduction to Crystals 101 – 11:30am-1:30pm. With Lisa Salvatore. Crystals to use for healing, how to cleanse/charge crystals and choose crystal to take home. $45. The Temperance Center, 453 White Plains Rd, Ste 203, Eastchester. 914.793.2600. TheTemperanceCenter.com. Mindful is the New Skinny Bootcamp for Women – Oct 3-Nov 7. 12:30-2pm. Mindfulness concepts and meditation techniques to help get a handle on things. $375 early bird before Sept 3. The Center for Health and Healing, 4 Smith Ave, Mt Kisco. 917.974.9446. JodiBaretz.com. Twilight on Hudson – 5-8pm. A reception at a private riverfront estate in Hastings to support the efforts of the honorees and the host organization, Federated Conservationists of Westchester County (FCWC), to protect water, air, soil and wildlife. Tickets $150/ $125 early bird. Info: 914.422.4406; FCWC.org. Shamanic Reiki Hearth Circle – 5:30-7pm. With Melanie Ryan. Circle involving group healing, shamanic journeys and sacred earth honoring teachings and practices. 70 percent of proceeds go to supporting indigenous projects. Open to all. $20 cash at door. Center4Healing.net. The following events appear in Natural Awakenings – Westchester, Putnam, Dutchess NY, August 2018 Edition. Telling Your Story in the College Process – 6:30-7:45pm. Holistic admissions process discussion and answer session on how children can meet the college criteria. Somers Library. Registration required: 914.232.5717. SomersLibrary.org. Kundalini Yoga & Gong Meditation – 10-11:30am and 7-8:30pm. With Pritam Bani Kaur. Use movement, sound current, breath and meditation to relax and heal mind and body. All levels. First class free. $20. Devotion Yoga, 2055 Albany Post Rd, Croton on Hudson. 914.930.7707. DailyDevotionYoga.com. Summer Lecture Series on the Science Barge: Finding Home on the River – 7-830pm. With Chloe Wang. Embracing a Place Based Environmental Ethos Science Barge, 99 Dock St, Yonkers. Info: 914.513.7354. GroundWorkHV.org. Free Lecture: What is Ayurvedic Medicine and How Does It Compare with Western (Allopathic) Medicine? – 11am-1pm. With Dr. Somesh Kaushik, an Ayurvedic and Naturopathic physician. The Bronxville Library, 201 Pondfield Rd. 914.337.7680. BronxvilleLibrary.org. The Human Body is Designed to Self-Heal – 7-8pm. Presented by Dr. Iankowitz. Free. Holmes Whaley Lake Civic Association, 239 Rte 292. Info: Pawling Library: 845.855.3444. PawlingLibrary.org. Reiki Master Class – 11am-4pm. With Marcus Feighery. $675. Synchronicity, 1511 Rte 22, Brewster. RSVP: 845.363.1765. Info: SynchronicityNY.com. Water Ceremony – 10-10:30am. We offer up our prayers with tobacco and song, sending them down to the ocean, for the healing of the waters, of Mother Earth and for all of our relations. Free. Poughkeepsie Boat Launch. 845.473.2206. DreamingGoddess.com. Bye-Bye Butterflies – 1-2pm. For all ages. The nature center will be releasing the butterflies who have taught us so much through the summer. Free members. Nonmembers included in admission to Live Butterfly Exhibit. Greenburgh Nature Center, 99 Dromore Rd, Scarsdale. 914.723.3470. GreenburghNatureenter.org. Crabbing Aboard the Science Barge – 2-4pm. Children ages 4-10. Hands-on workshop. Catch and measure the famous Blue Claw Crab with Science Barge Director Bob Walters. $5 suggested donation. The Science Barge, 99 Dock St, Yonkers. Info: GroundWorkHV.org. Kundalini Yoga & Gong Meditation – 5-6:30pm. With Pritam Bani Kaur. Use movement, sound current, breath and meditation to relax and heal mind and body. All level. First class free. $20 drop-in. Devotion Yoga, 2055 Albany Post Rd, Croton on Hudson. 914.930.7707. DailyDevotionYoga.com. Qi Gong – Aug 7 and 21. 6:30-7:30pm. $10. Sacred Space Healing Arts, 436 Main St, Beacon. Register: 845.416.4598. EmpoweredByNature.net. What is Ayurvedic Medicine? – 7-8pm. Presented by Dr. Somesh N. Kaushik. Free. Pawling Library, 11 Broad St, Pawling. 845.855.3444. PawlingLibrary.org. Free Lecture: What is Ayurvedic Medicine and How Does It Compare with Western (Allopathic) Medicine? – 7-8pm. With Dr. Somesh Kaushik, an Ayurvedic and Naturopathic physician. The Pawling Library, 11 Broad St. 845.855.3444. PawlingLibrary.org. The Untold Story – The Birth of the Hudson River Environmental Movement – With Bob Walters. How Riverkeeper, The Clearwater and Scenic Hudson rallied together to defeat some of the most powerful corporations in America. $5 suggested donation. The Science Barge, 99 Dock St, Yonkers. Info: 914.375.2151. GroundWorkHV.org. For sponsorship opportunities and individual ticket purchases, contact Sara Brody: 914.375.2151. Transition to College – Tips for Getting Ready – 6:30-7:45pm. Interactive presentation outlines what parents can expect now that their student is embarking on their college journey. Somers Library. Registration required: 914.232.5717. SomersLibrary.org. Alternatives to Violence Project – For those who want to become AVP conflict resolution workshop facilitators. $40 to $100, depending on income. For more info, visit AvpNy.org. Register: Fred Feucht 203.405.6103. Qi Gong for Seniors – Aug 10, 17, 24, 31, Sept 7 and 14. 10am-Noon. $129 six-class series, cost includes materials fee. Dutchess Community College – South, 31 Marshall Rd, Bldg 4, Wappingers Falls. Healing Circle – 7-9pm. With Savannah. $10. Synchronicity, 1511 Rte 22, Brewster. RSVP: 845.363.1765. Info: SynchronicityNY.com. Reiki Training Level 1 – 10am-6pm.With Jody Raso. A gentle yet powerful system of energy-based healing and spiritual growth practices created by Mikao Usui in the early 1900’s. $275 nonmembers. Wainwright House, 260 Stuyvesant Ave, Rye. Info: 914.967.6080. GNC Family Overnight Campout – 5:30pm-8:30am (August 12), Families who aren’t members can purchase a membership and then register. No prior camping experience is necessary but campers should bring a tent and sleeping bags. The Greenburgh Nature, 99 Dromore Rd. Scarsdale. Info: GreenburghNatureCenter.org or 914.723.3470. Guided Meditation – 11am. 45-min group session. $10. 18 person limit. The Source NY, 143 Boardman Rd, Bldg 3, Poughkeepsie. RSVP required: 845.214.0452. TheSource-NY.com. Free Aura Soma Colour Therapy Discussion – Noon. 60 min-group session. There will be a drawing for one free colour reading. The Source NY, 143 Boardman Rd, Bldg 3, Poughkeepsie. 845.214.0452. TheSource-NY.com. Jingles and Jangles – Rubik’s Cube – 2-4pm. With Trent. Children ages. Hands-on workshop. Suggested donation $5. The Science Barge, 99 Dock St, Yonkers. Info: GroundWorkHV.org. New Moon Manifestation – 7-8pm. Together we manifest our hearts’ desires using The Law of Attraction and the creative energies of the new moon. $10. DG Sanctuary, 2 Lagrange Ave, Poughkeepsie. 845.473.2206. DreamingGoddess.com. ABCs of Writing for Children – 11:30am-3pm, 8/14, 16, 21 & 23. For anyone who has ever wanted to be a children’s author. Four-session course with Karen Orloff and Della Ross Ferreri . $185. Merritt Bookstore, 57 Front St., Millbrook. Register with Karen: 845.234.0685. Tea & Stones – 6:30-7:30pm. A lecture to connect and learn about gems, stones and their incredible properties. Free. Dreaming Goddess 44 Raymond Ave, Poughkeepsie. 845.473.2206. DreamingGoddess.com. Healing with the Angels Workshops – 6:30-8:30pm. With Robin C. Mueller. For those who want a deeper way to ease their emotional, physical or mental pain and discomfort. $35 at door. Whippoorwill Hall in Armonk Library. More info: SpiritInside.net. Intention Group – 7-9pm. With Savannah. Learn to obtain more of what one desires. $10. Synchronicity, 1511 Rte 22, Brewster. RSVP: 845.363.1765. Info: SynchronicityNY.com. Shamanic Journey Circle – 7-9pm. Through rhythmic drumming in guided meditation, we transcend our conscious state and journey to meet the many helping spirits around us. No experience necessary. $20. DG Sanctuary. 2 Lagrange Ave, Poughkeepsie. 845.473.2206. DreamingGoddess.com. Kundalini Yoga & Gong Meditation – 9:30-11am. With Pritam Bani Kaur. Use movement, sound current, breath and meditation to relax and heal mind and body. All levels. First class free. $20 drop-in. Devotion Yoga, 2055 Albany Post Rd, Croton on Hudson. 914.930.7707. DailyDevotionYoga.com. Interfaith Sundays at the Chapel at Croton Falls – 10:30am-Noon. Lessons from A Course in Miracles. Special Guests: Dr. Hans B. Hallundbaek and Judy Hill. All welcome. Refreshments follow. 609 Rte 22, Next to Schoolhouse Theater, Parking available across the street, Croton Falls. ChapelAtCrotonfalls.org. Journey for Your Soul’s Purpose – 11:30am-1pm. With Savannah. $20. Synchronicity, 1511 Rte 22, Brewster. RSVP: 845.363.1765. Info: SynchronicityNY.com. Free Aura Soma Colour Therapy Discussion – Noon. 60-min group session. There will be a drawing for one free colour reading. The Source NY, 143 Boardman Rd, Bldg 3, Poughkeepsie. 845.214.0452. TheSource-NY.com. Open Wide – 1-2pm. For all ages. Learn all about snakes and lizards during a hands-on presentation. Stick around until the end and see snack-time for the snakes. $5 members. $8 nonmembers. Greenburgh Nature Center, 99 Dromore Rd, Scarsdale. Info: GreenburghNatureCenter.org or 914.723.3470. Knots of Science and Lots of Science – 2-4pm. Children ages 4-10. Hands-on workshop. Suggested donation $5. The Science Barge, 99 Dock St, Yonkers. Info: GroundWorkHV.org. Natural Way to Quit Alcohol, Sugar, Smoking – 7:45-8:30pm. Learn simple, effective method for quitting smoking, alcohol, sugar and more. 80 percent success. Simpler than most dare to believe. Free lecture. Briarcliff location. 914.473.2015. QuitWithQuinn.com. Free Holistic Networking Event – 5-7pm. The Natural Life Business Partnership (NLBP) and Mariandale Center host for holistic entrepreneurs. The Mariandale Center, 299 North Highland Avenue, in Ossining. Register:TheNaturalLife.org. Kundalini Yoga & Gong Meditation – 10-11:30am. With Pritam Bani Kaur. Use movement, sound current, breath and meditation to relax and heal mind and body. All levels. First class free. $20 drop-in. Devotion Yoga, 2055 Albany Post Rd, Croton on Hudson. 914.930.7707. DailyDevotionYoga.com. Yoga: Gentle is the New Advanced – 1-4pm.With J. Brown. Gentle, therapeutic, breath-centered approach, to make the body strong and flexible in a way that also encourages useful patterns of thought and behavior. $85 nonmembers. Wainwright House, 260 Stuyvesant Ave, Rye. Info: 914.967.6080. Oyster and Oyster Art – 2-4pm. Children ages 4-10. Hands-on workshop. Suggested donation $5. The Science Barge, 99 Dock St, Yonkers. Info: GroundWorkHV.org. Women’s Full Moon Gathering – 7-8:30pm. A non-denominational monthly gathering for women, coming together to draw on the powerful energies of the full moon. $10 requested donation. DG Sanctuary, 2 Lagrange Ave, Poughkeepsie. 845.473.2206. DreamingGoddess.com. The following events appear in Natural Awakenings – Westchester, Putnam, Dutchess NY, July 2018 Edition. Independence Day Fair – 11am-4pm (rain or shine). Family-friendly fair featuring petting zoo, equestrian demonstration, pony rides, crafts, face painting, hayrides, live music, fishing, pet adoption, food from the grill and more. Free admission. John Jay Homestead, 400 Jay St. Katonah. Info: bedfordarmonkrotary.org. A Summer Retreat for Writers: Finding Inspiration, Contemplation and Creativity – July 5-9. The retreat is open to everyone: for those who journal and for writers of every genre. $450 includes overnight accommodations and all meals. The Mariandale Center, 299 N Highland, Ave, Ossining. Info: 914.941.4455. Mariandale.org. Hudson Valley Hot-Air Balloon Festival – July 6-8. Over 100 balloon launches during the weekend, with mass launches scheduled for Friday, Saturday and Sunday evenings, and sunrise launches on Saturday and Sunday. Craft beverage tap tent, live bands, vendors, food trucks and family activities. Info: BalloonFestHV.com. Breath Work – 7-9pm. With Erika. Firefly Yoga, 992 Main St, Fishkill. RSVP/info: FireflyFishkill.com. From Darkness to Light: Reconnecting with Your Spirit – 11am-3pm. With Rose Kress, of the LifeForce Yoga Healing Institute. Breathwork, intention, affirmation, self-inquiry, asana and more. $90 lunch provided. The Temperance Center, 453 White Plains Rd, Ste 203, Eastchester. Preregister/prepay: 914.793.2600. TheTemperanceCenter.com. Water Ceremony – 10-10:30am. Prayers are offered up with tobacco and song, sending them down to the ocean, for the healing of the waters, of Mother Earth and for all relations. Free. Poughkeepsie Boat Launch. 845.473.2206. DreamingGoddess.com. Journey for Your Soul’s Purpose – 11am-12:30pm. With Savannah. $20. Synchronicity, 1511 Rte 22, Brewster. RSVP: 845.363.1765. Info: SynchronicityNY.com. The Healing Circle: Relax, Restore and Return to Balance – 1-2:30pm. Restorative healing touch and reiki healing prompts an overall calming, balancing and healing response that enhances health and well-being. $20. The Mariandale Center, 299 N Highland Ave, Ossining. Info: 914.941.4455. Mariandale.org. Let Your Yoga Dance – 6:30-7:30pm. With Amy Planck. For adults. Experience joy and fun while expressively dancing through the chakras. $109 eight weeks. Mt Pleasant Community Center, 125 Lozza Dr, Valhalla. Preregistration required: 845.803.5737. AmyPlanck.com. Qi Gong Classes – July 10 and July 24. 6:30-7:30pm. Sacred Space Healing Arts, 436 Main St, Beacon. $10. Register: 845.416.4598. Empoweredbynature.net. Sharp Again Soiree – 6:30pm. Music, dancing, silent auction, dinner and drinks in support of Sharp Again Naturally’s mission to preserve and restore memory. CV Rich Mansion. Info: Sansoiree.Eventbrite.com. Summer Qigong: Learn to Expand Your Awareness – July 11-Aug 29. 7-8pm. Eight-week series. $15 per session. $100 per series. The Mariandale Center, 299 N Highland Ave, Ossining. Info: 914.941.4455. Mariandale.org. Death Cafe meeting – 7pm. Share candidly, questions, fears and beliefs about death. Make the most of life today. Unitarian Universalist Fellowship, 236 S. Bedford Road (Rt. 172). Mount Kisco. Free. RSVP not necessary. New Moon Manifestation – 7-8pm. Together manifest hearts’ desires using The Law of Attraction and the creative energies of the new moon. $10. DG Sanctuary, 2 Lagrange Ave, Poughkeepsie. 845.473.2206. DreamingGoddess.com. Psychic Message & Healing Circle – 7-9pm. With Shaman Healer Elka Boren. $40. Angel Aura Spiritual Boutique, 12 W Main St, Pawling. RSVP: 845.493.0432. AngelAuraBoutique.com. Summer Ecology Walk – 1-2:30pm. Find out what is going on in nature during this time of the year during a stroll around the sanctuary. Read Wildlife Sanctuary, Playland Park, Rye. 914.967.8720. More info: Parks.WestchesterGov.com. Astrology Workshop – 1-3pm. With Astro Cheryl. Learn and discuss the basics of Astrology. $40. Angel Aura Spiritual Boutique, 12 W Main St, Pawling. RSVP: 845.493.0432. AngelAuraBoutique.com. Free Lecture: Ayurveda Overview and Q & A – 3-5pm. Dr. Kaushik’s Ayurvedic and Naturopathic Clinic will hold an afternoon of Ayurveda. Yellow Monkey Village, 792 Rte 35, Cross River. 914.875.9088; DrKaushik.com. Music of the Heart: A Bhakti Yoga Experience – 3-5pm. With Darren Marc. Sacred time for soul nourishment includes gentle yoga, call and response singing and other Bhakti practice. No experience necessary. Quest Yoga Arts, 11-13 E Main St, Mt Kisco. Preregister: 914.996.4286. QuestYogaArts.com (workshops tab). Birth Trauma Healing Workshop – 7-9pm. With Shaman Healer Elka Boren. $40. Angel Aura Spiritual Boutique, 12 W Main St, Pawling. RSVP: 845.493.0432. AngelAuraBoutique.com. Interfaith Sundays at The Chapel at Croton Falls – 10:30am-12pm. Owlfeathers: Interfaith Meets Poetry, with Prof. Suzanne Ironbiter. All Welcome – refreshments follow. The Chapel at Croton Falls, 609, Rt. 22, Croton Falls. Parking across street. Info: chapelatcrotonfalls.org. Learn the Angel Oracle Cards – 11am-12:30pm. With Joann Fiallo. Basic level. $25. Synchronicity, 1511 Rte 22, Brewster. RSVP: 845.363.1765. Info: SynchronicityNY.com. Walking Tour of the Lasdon Memorial Garden – 2-3pm. Join Lasdon’s horticulturist on a walking tour of a fragrance garden, a shrub border and a formal garden. Lasdon Park, Arboretum and Veterans Memorial, Somers. Info: 914.864.7268. LasdonPark.org. Free Lecture: Stress: The Ayurvedic Approach to Getting Out From Under – 7-9pm. With Dr. Somesh Kaushik, an Ayurvedic and Naturopathic physician. Lewisboro Library, 15 Main St, S Salem. 914.875.9004. LewisboroLibrary.org. Natural Way to Quit Alcohol, Sugar, Smoking – 7-7:45pm. Learn simple, effective method for quitting smoking, alcohol, sugar and more. 80 percent success. Simpler than most believe. Free lecture. Briarcliff location. 914.473.2015. QuitWithQuinn.com. Yin Yoga Teacher Training – July 20-22. With Megan for a weekend of Yin Yoga exploration. Upon completion of this course, students will receive 20 YACE Continuing Education hours through Yoga Alliance. $375. Wainwright House, Rye. Boot Camp for the Soul: Art and Yoga One Day Retreat – 9:30am-4pm. Designed to provide an uninterruptible space to unplug from the busyness of life and reconnect with oneself. $75. The Mariandale Center, 299 N Highland Ave, Ossining. Info: 914.941.4455. Mariandale.org. Yin Yoga for Self-Care – 6-9pm. Stretch out and bring awareness to the entire body and will incorporate some gentle Qi Gong in addition to the longer Yin holds. $55 Nonmembers. Wainwright House, Rye. Chakra Crystal Grid Healing Workshop – 7-9pm. With Shaman Healer Elka Boren. $40. Angel Aura Spiritual Boutique, 12 W Main St, Pawling. RSVP: 845.493.0432. AngelAuraBoutique.com. Shamanic Journey Circle – 7-9pm. Through rhythmic drumming in guided meditation, transcend the conscious state and journey to meet the many helping spirits around. No experience necessary. $20. DG Sanctuary. 2 Lagrange Ave, Poughkeepsie. 845.473.2206. DreamingGoddess.com. Dragon Boat Race and Festival – Dragon boat races, food trucks, music, local vendors and activities for all ages on the banks of the Hudson River. Info: DutchessDragonBoat.org. Wholistic Peace Forum – 3:30-5pm. Interactive and collaborative experience to identify and discuss best practices for the holistic community to get more involved with overarching community issues in Westchester. Hartsdale. Free/donations welcome. Tickets/details: Eventbrite.com, search Wholistic Peace Forum. Ancestral Healing Workshop – 7-9pm. With Shaman Healer Elka Boren. $40. Angel Aura Spiritual Boutique, 12 W Main St, Pawling. RSVP: 845.493.0432. AngelAuraBoutique.com. The Harlem Valley Rail Ride – Takes cyclists through a horse farm, a dairy farm and a car-free, six-mile section of abandoned railroad track, beginning and ending at Eddie Collins Field in Millerton. Concludes with barbecue festival. Info/cost: HarlemValleyRailRide.com. Double Workshop: Joe’s Natural Laws and How They Influenced His Work – 11am-6pm. With Sean Gallagher and Historical Chair Exercises with Elaine Ewing. $250. Rhinebeck Pilates, 6400 Montgomery St. Elaine: 845.876.5686. RhinebeckPilates.com. Healing/Psychic Fair – 1-6pm. 7/22 & 7/29. Healers, psychics, tarot readers, palm readers and Reiki Masters available for readings and healing sessions. Portion donated to the Global Autism Project. Chapel at Croton Falls. 609 Rt. 22, Croton Falls. Info: Rona Levine 914.419.8693. Belly Dance Basics – 2:30-4:30pm. With Gina Bergamini. A celebration of natural beauty and power regardless of age, ability or body type. Quest Yoga Arts, 11-13 E Main St, Mt Kisco. Preregister: 914.996.4286. QuestYogaArts.com (workshops tab). Fourth Monday Bird Walk – 7:30-9:30am. BYO binoculars and join experts from Saw Mill River Audubon for a walk through park to see the birds of the season. Beginners welcome. Croton Point Park, meet in main parking lot, Croton-on-Hudson. 914.862.5290. Info: SawmillRiverAudubon.org. More info: Parks.WestchesterGov.com. Sixth Annual Firefly Festival – 6:30-8:30pm. BYO chairs, blankets and flashlight. Meet at the end of Michigan Road for this annual festival. Enjoy some s’mores while watching this amazing show. Ward Pound Ridge Reservation, Cross River. Info: 914.864.7317. Parks.westchestergov.com. Mediumship Circle – 7-8:30pm.With Carla Blaha. $40. Synchronicity, 1511 Rte 22, Brewster. RSVP: 845.363.1765. Info: SynchronicityNY.com. 22 Arcanas Workshop – 7-9pm. With Shaman Healer Elka Boren. $40. Journey through the Tarot Major Arcana. Angel Aura Spiritual Boutique, 12 W Main St, Pawling. RSVP: 845.493.0432. AngelAuraBoutique.com. Adult Guided Channeling/Meditation Group – 7:15-8:15pm. With Merrill Black. Unique theme, meditation, group discussion. $20. The Temperance Center, 453 White Plains Rd, Ste 203, Eastchester. 914.793.2600. TheTemperanceCenter.com. Reiki 1 & 2 – 11am-4pm.With Reiki Master Marcus Feighery. $275. Synchronicity, 1511 Rte 22, Brewster. RSVP: 845.363.1765. Info: SynchronicityNY.com. Essentials for a More Easeful Labor: A Couples Labor & Delivery Workshop – 3-7pm. Learn all the basics that a couple needs to know in preparation for labor. Quest Yoga Arts, 11-13 E Main St, Mt Kisco. Preregister: 914.996.4286. QuestYogaArts.com (birth and baby tab). Introduction to Foot Reflexology – 10am-1pm. Wyld Womyn, 378C Main St, Beacon. Register: Wyld Womyn. 845.440.8300. Kids Summer Camp – July 30-Aug 3. 9-11:45am. Ages 5-9. $150. Firefly Yoga, 992 Main St, Fishkill. RSVP/info: FireflyFishkill.com. The following events appear in Natural Awakenings – Westchester, Putnam, Dutchess NY, June 2018 Edition. Please call ahead to confirm event details. Shamanic Reiki Training Master Practitioner Level – June 1-3. 10am-5pm. With Melanie Ryan. Professional weekend training. Be attuned to Mikao Usui Reiki Master symbol and the intuitive, psychic healing powers used for centuries by ancient indigenous shamans. $425. Mt Kisco. 914.864.0462. Center4Healing.net. Healing Ceremony – 7-9pm. With Shamanic healer “Curandera” Rocio La Rosa. $40. Synchronicity, 1511 Rte 22, Brewster. RSVP: 845.363.1765. SynchronicityNY.com. Sunset Qigong: Aligning Mind, Body and Spirit with Universal Energy – June 1, 8, 15, 22 & 29. 7:30-8:30pm. Sunset Qigong-Facing West over the Hudson River. All welcome. No prior experience necessary. Dress comfortably. The Mariandale Center, Ossining. 914.941.4455. Mariandale.org. Snapping Turtles! Boscobel – 7:30am. Rain-or-shine. Presentation about snapping turtles and introduction to turtles living in the marsh. Explore Boscobel’s gardens and grounds. Refreshments. Admission $12/adults, $8/children, free under 5. Info, visit Boscobel.org. Field Trip: Mianus River Gorge – 7:30-11am. Join BAS Naturalist Tait Johansson and Preserve Manager Budd Veverka for an early-morning bird walk at this beautiful old-growth forest. Moderate-strenuous. Register, Susan: 914.302.9713. BedfordAudubon.org. Farm Fest at HHF – 10am-4pm. Children’s games, face painting, activities, artisans, food vendors, hayrides, farm animals and more. $10-per-family. Hilltop Hanover Farm, 1271 Hanover St., Yorktown Heights. Info: HilltopHanoverFarm.org. Primrose Hill School Annual Gala – 7-10pm. evening of entertainment and collaborative change-making to support Primrose Hill School, an independent school focused on inclusive, nature-based education. At CO, Rhinebeck’s cooperative co-working space. Info/tickets: PrimroseHillSchool.com. Bird Walk: Muscoot Farm – 7:30-11am. Join Bedford Audubon’s Naturalist Tait Johansson and the Friends of Muscoot Farm for a bird walk on these beautiful. Free. Level of difficulty is easy-moderate. Register, Susan: 914.302.9713. BedfordAudubon.org. Birds of Prey Day at Green Chimneys – 10am-4pm. Get up close and personal with eagles, hawks, owls and falcons and learn from top wildlife experts. $15/adults, $5/children and seniors. Green Chimneys, 400 Doansburg Rd. Brewster. Info: GreenChimneys.org. Guided Meditation – 11am. 45-min group session. $10. 18 person limit, reserve space. The Source NY, 143 Boardman Rd, Bldg 3, Poughkeepsie. 845.214.0452. TheSource-NY.com. Aura Soma Colour Therapy Discussion – Noon. 60-min group session. There will be a drawing for one free colour reading. Free. The Source NY, 143 Boardman Rd, Bldg 3, Poughkeepsie. 845.214.0452. TheSource-NY.com. First Tuesday Bird Walk – 7:30-9:30am. Free. Level of physical difficulty is easy-moderate. Deans Bridge, at eastern end of bridge, Somers. Register, Susan: 914.302.9713. BedfordAudubon.org. Kundalini Yoga & Gong Meditation – 7-8:30pm. With Pritam Bani Kaur. Use movement, sound current, breath and meditation to relax and heal mind and body. All levels. $20 drop-in. First class free. Devotion Yoga, 2055 Albany Post Rd, Croton on Hudson. 914.930.7707. DailyDevotionYoga.com. One Light Healing Touch School – June 8-10. Meets June-Nov with Penny and Ron Lavin. Training includes 33 advanced healing techniques and 50 practices for healing oneself and others. NCBTMB CEUs. Lagrangeville. Register: Penny: 845.878.5165. OLHT1.com. Happy Hour Yoga – 7-8pm. Vinyasa class set to varying musical playlists each month. Fun and energetic. $130. Cold Spring Yoga, 75 Main St. 845.265.4444. ColdSpringYoga.com. Igniting Sacred Sexuality: A Couples Series – 7-9pm. With Kevin Spath and Cat Guthrie. A progressive/experiential three-Fri series exploring a radical mind-shift about sexuality and intimacy. $175 early bird. Mt Kisco. Kevin: 914.673.0007. Center4Healing.net. Meditation: A Daily Peaceful Retreat – 11am-12:15pm. With Bruce Berger. Meditation, lecture workshop. Discover the benefits of meditation. Learn to focus within and find peace and calm. Free. 1st Unitarian Society of Westchester, 25 Old Jackson Ave, Hastings-On-Hudson. Info: 914.433.1800. SOS.org. Reiki 1 Class – June 9-10. 1-5pm both days. With Anne Bentzen. Learn foundation skills for self-healing and treating others. Receive four attunements, manual and certificate. $200. Armonk Register: 914.588.4079. Balancing4Life.com. Natural Strategies for Chemical Detox – 2-4pm. With Dr. Kurt Beil. Learn ways to prevent and reduce the impacts of toxins so health is restored and symptoms resolved and natural cleansing detox options that optimizes a healthier, toxin-free life. $40 door. Mt Kisco. 914.864.0462. Center4Healing.net. Tibetan Sound Bowl Healing – 5:30-7pm. With Michelle Clifton. Bowls create a celestial harmonic sound that resonates with our energy field, having a profound healing effect on the nervous system, mind, body and soul. $40 door. Mt Kisco. Michelle: 914.447.0822. Center4Healing.net. Field Trip: Bashakill Marsh & Shawangunk Grasslands National Wildlife Refuge – 7:30am-3pm. Grab binoculars and join Naturalist Tait Johansson for a full day of birding. Depart Bylane at 6am and return 4pm. Free. Level of difficulty is moderate. Register, Susan: 914.302.9713. Mediumship Class – 11am-5pm. With the accomplished medium Adam Bernstein. $150. Synchronicity, 1511 Rte 22, Brewster. RSVP: 845.363.1765. Info: SynchronicityNY.com. Introduction to Crystals 101 – 11:30am-1:30pm. With Lisa Salvatore. Crystals to use for healing, how to cleanse/charge crystals, choose crystal to take home. $45. The Temperance Center, 453 White Plains Rd, Ste 203, Eastchester. 914.793.2600. TheTemperanceCenter.com. Usui Reiki Monthly Circle – 2-3:30pm. With Deborah Amjadi. Healing reduces stress, relieves pain and accelerates healing without medication use. Individual or group energy healing. Practitioners are welcome to participate in reiki exchanges. $20 cash. Mt Kisco. 914.864.0462. Center4Healing.net. Kundalini Yoga & Gong Meditation – 5-6:30pm. With Pritam Bani Kaur. Use movement, sound current, breath and meditation to relax and heal mind and body. All levels. First class free. $20 drop-in. Devotion Yoga, 2055 Albany Post Rd, Croton on Hudson. 914.930.7707. DailyDevotionYoga.com. The Healing Circle: Relax, Restore and Return to Balance – 1-2:30pm. Reiki, a subtle healing practice that supports body, mind and spirit, prompts an overall calming, balancing and healing response that enhances health and well-being. $20. The Mariandale Center, Ossining. 914.941.4455. Mariandale.org. Introduction to Foot Reflexology Course # LES429 – June 12 and 14. 6-8pm. $49. Dutchess Community College – South Campus – Wappingers Falls. Register directly with school: 845.431.8910. Online: SunyDutchess.edu/cfweb. Talkwalk at the Dam: Netwalk – 10am-12:30pm. Not a Race or Expo. Entrepreneurs and executives take business a step further. Inspiration, Insights, Introductions, Impact. Pre-Registration only. Tickets online: Womeninbusiness.org or 914.288.9888. Grand Opening of Candles & Wine Co – 6-10pm. An opening celebration at Wine and Beer Bar featuring light food, wine and beer. 25/27 Depot Plaza, Bedford Hills. Mediumship Message Gallery – 6-8pm. With Adam Bernstein. $40. Synchronicity, 1511 Rte 22, Brewster. RSVP: 845.363.1765. Info: SynchronicityNY.com. Free Lecture: Ayurveda and Yoga—The Health Connection – 7-9pm. With Dr. Somesh Kaushik, an Ayurvedic and Naturopathic physician. Free dosha readings after the lecture. Thrivologie, 197 Ethan Allen Hwy, Ridgefield, CT. 203.416.9416. Thrivologie.com. The Migratory Bird Treaty Act: One Hundred Years Later – 7:30pm. Interim Executive Director of the Bedford Audubon Society Suzanne Cahill, discusses the history of the MBTA and recent changes made under the Trump administration. Katonah Village Library. Reiki Healing Circle – 1-3pm. With Anne Bentzen. Restore body, mind and soul connections. Meditation and deep relaxation offer natural healing solutions. Max 12. $30. Apogee, 170 Harris Rd, Bedford Hills. RSVPs required: 914.244.1606. Text/more info: 914.588.4079. Clearwater Festival – 6/16 & 6/17. Music and Environmental Festival at Croton Point Park, Croton-on-Hudson. To purchase tickets and for more info visit: ClearwaterFestival.org or call 888.718.4253 opt. 1. Kids 11 and under free! Connecting to the Wisdom of Plants LES433 – 9am-1pm. $59. Dutchess Community College – South Campus – Wappingers Falls. Register directly with school: 845.431.8910 Online: SunyDutchess.edu/cfweb. Buddhist-Christian Dialogue – 10am-2pm. Explore the many similarities between these two traditions. Review many of the teachings of Jesus and the Buddha and discuss the way of the Saint and the way of the Bodhisattva. $35 includes lunch. The Mariandale Center, Ossining. 914.941.4455. Mariandale.org. Crystal & Sound Healing Workshop – 1-3:30pm. Access energies of mineral kingdom to release belief systems, cleanse energy and journey with sound to manifest true desires. $75. Devotion Yoga of Westchester, 2055 Albany Post Rd, Croton on Hudson. 914.930.7707. Preregister: DailyDevotionYoga.com. Free Lecture, Afternoon of Ayurveda: Insomnia: Acute or Chronic—Reasons & Solutions – 3-5pm. Dr. Kaushik’s Ayurvedic and Naturopathic Clinic, Yellow Monkey Village, 792 Rte 35, Cross River. 914.875.9088. DrKaushik.com. Interfaith Sundays at The Chapel at Croton Falls – 10:30am-12pm. Come feel inspired. All welcome – Refreshments to follow. The Chapel at Croton Falls, 609, Rt. 22, Croton Falls (next to the Schoolhouse Theater). Parking available across street. Info: chapelatcrotonfalls.org. Field Trip: Sterling Forest – 8am-3pm. Naturalist Tait Johansson leads adventure to Sterling Forest in search of Golden-winged, Hooded, and Cerulean Warblers, and others. Depart Bylane 7am. Free. Level of difficulty is moderate. Register, Susan: 914.302.9713. Get On Your Mat For Mental Health – 5:30-7:30pm. Outdoor mega-yoga event in support of mental health services, featuring music, marketplace and hour class led Sarah Platt-Finger. Court St. between Main St. and Martine Ave. Downtown White Plains. $30 adults/$15 little yogis. Register: mhawestchester.org. 914.265.7511. Beauty School – 6-8pm. Learn an all-natural skin care routine for morning and evening and Savvy Mineral make-up demonstration with Young Living products. $10 fee for materials. Reviva Skin and Body Solutions, 929 Main St, Fishkill. RSVP required: 844.363.7894. Revivabody.com. Fybromyalgia and Chronic Fatigue Syndrome Lecture – 6:30-7:30pm. With Dr. David Connell will discuss both topics. Registration required online at: kentlibrary.org or by calling the Kent Public Library at 845.225.8585. Kent Library, 17 Sybil’s Crossing, Kent Lakes. Third Thursday Bird Walk – 7:30-9:30am. Breeders here include Cliff Swallow, Yellow-billed Cuckoo, Blue-winged Warbler, Pine Warbler and Indigo Bunting. Free. Level of difficulty is easy. Maple Ave, meet at the intersection of Maple Ave and Reservoir Rd (right at the dam), Katonah. Register, Susan Fisher: 914.302.9713. Ascend Festival – 8am. Summer Solstice, when our sun reaches its highest point in the sky. On this day, celebrate the light of the day and the light within. Cold Spring Yoga, 75 Main St. 845.265.4444. Cost/info: AscendFestival.com. Summer Solstice – 4-6pm. Hear a brief explanation of the Solstice, visit gardens, find natural symbols and ornaments, take a Labyrinth prayer walk and enjoy seasonal refreshments. Free family event. The Mariandale Center, Ossining. 914.941.4455. Mariandale.org. Giant Annual Church Tag Sale – June 22-24. 9am-4pm. Housewares, fabrics, furniture, children’s items and more. 4th Unitarian Universalist Congregation of Westchester, 1698 Strawberry Rd, Mohegan Lake. Info: Jennifer: 914.648.8583. FourthUU.org. Introduction to Kundalini Yoga and Meditation – 10-11:30am. With Pritam Bani Kaur. Use movement, sound current, breath and meditation to relax and heal mind and body. Beginners welcome. First class free. $20 drop-in. Devotion Yoga, 2055 Albany Post Rd, Croton on Hudson. 914.930.7707. DailyDevotionYoga.com. Five Rhythms – 7-9pm. With Peter Fodera and Stephanie Diamond. Beacon of Light Wellness Center, Beacon. Info: 845.202.3515. BeaconOfLightWellnessCenter.com. Qi Gong for Beginners & Experienced – 9am-Noon. $25. Mount Saint Mary College – Desmond Campus, 6 Albany Post Rd, Newburgh. 845.565-2076. Register Online: msmc.edu/communityed. Free Lecture: What is Ayurvedic Medicine and How Does It Compare with Western (Allopathic) Medicine? – 10:30-12:30pm. With Dr. Somesh Kaushik, an Ayurvedic and Naturopathic physician. Free dosha readings after the lecture. Somers Library, 82 Primrose St, Somers. 914.232.5717. SomersLibrary.org. WHN Summer Solstice Gathering – 12-3pm. Experience and enjoy offerings from Westchester Holistic Network practitioners with an astrology summer overview. Meditation, music, movement, healing modalities and refreshments. Community Unitarian Universalist Congregation of White Plains. Register/Info: WestchesterHolisticNetwork.org. Summer Solstice Healing Night – 5-7pm. With Merrill Black and Jo-Anne Salomone. Yoga, breath-work, summer fun play/exploration and meditation. $20, half will go to charity. The Temperance Center, 453 White Plains Rd, Ste 203, Eastchester. 914.793.2600. TheTemperanceCenter.com. An Introduction to Ayurveda—The Wisdom of Life LES430 – June 26-28. 6-8pm. Four hours 5286 90. $49. Materials fee included in cost of class. Dutchess Community College – South Campus – Wappingers Falls. Register directly with school: 845.431.8910. Online: SunyDutchess.edu/cfweb. Book Talk – 7pm. Author, Jodi Baretz will be discussing her Amazon bestselling book, Mindful Is the New Skinny, 10 Transformational Steps to a Lighter You Inside and Out. Free. Chappaqua Library, 195 S Greeley Ave, Chappaqua. Info, Jodi Baretz: 917.974.9446. JodiBaretz.com. Full moon Kundalini Yoga and Meditation Class – 7-8:30pm. With Pritam Bani Kaur. Use movement, sound current, breath and meditation to relax and heal mind and body. All levels. $20. First class free. Devotion Yoga, 2055 Albany Post Rd, Croton on Hudson. 914.930.7707. DailyDevotionYoga.com. Breathwork Circle – 7-9pm. With Erika Forsell. Beacon of Light Wellness Center, Beacon. 845.202.3515. BeaconOfLightWellnessCenter.com. Safe Haven Farm Sanctuary – Noon-2pm. Kick-off summer fun with at the picnic and open house. Meet the animals and enjoy a delicious plant based picnic. Admission free, donations appreciated. Families welcome. Poughquag. Info/RSVP: 845.724.5138. SafeHavenFarmSanctuary.org. Celebrate Life (and Turning 100!) with Tao Porchon-Lynch – 1:30-4:30pm. Hosted by Yoga Teachers Association. Experience a master yogini’s unique teachings and join her for an early birthday celebration. $45 members/$65 nonmembers. The Yoga Studio, Club Fit, Briarcliff Manor. Register: ytayoga.com; 914.582.7816. Shamanic Reiki Hearth Monthly Circle – 5:30-7pm. With Melanie Ryan. Healings, teachings and ceremony originated by ancient indigenous shamans worldwide. $20 cash, drop in only. Proceeds go to Olympic Mountain EarthWisdom Circle. Mt Kisco. 914.864.0462. Center4Healing.net. Natural Awakenings Calendar Listings for September, 2017 in Westchester, Putnam and Dutchess, NY.